We're back in Sydney this week for a family visit and whenever I get back to the big smoke, I compile an ambitious list of places to visit that usually involve eating. 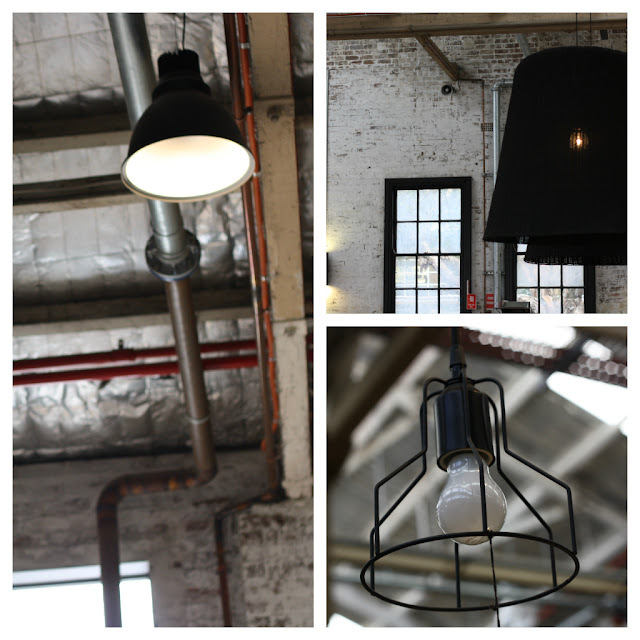 Top of the list was Kitchen by Mike at the new Koskela showroom. After a long trek across town, Elsa and I went there for lunch yesterday. The fit out is gorgeous, reusing lots of industrial materials and the showroom is full of beautiful things. But the best thing? The food! There's no menu, you line up, straining your neck from the back of the queue to get a glimpse of the enormous selection spread along the huge counter. I ordered some salads, piled high onto an enamel plate, that were so delicious they stopped you in your tracks. But I think my favourite was the massive loaves of crusty sourdough bread. Thick rough cut slices served with an enormous knob of that hand churned butter again. Worth a visit for that alone. Next stop, Eveleigh Farmers Markets for some more Sydney deliciousness. I'll have to keep this place in mind when we visit Australia in the next year or so. Looks fantastic. I'll try and persuade the pilot Kate! Going during the week seems to be the best way of avoiding the weekend crush - alas I've not yet made it but the food does sound delicious and "that" butter is to die for. Lovely photos. What a gorgeous little place. And your photos are yum! i want the artwork on that tomato can as wallpaper in my kitchen. Gorgeous shots you have taken there, such a yummy looking place. That looks like my kind of eatery! It's breakfast in the UK at the moment, but your pictures have me craving other things. Yum!